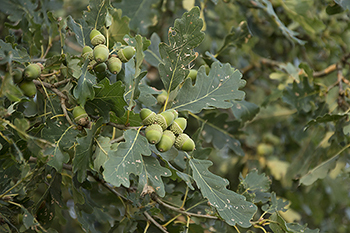 The article about the effects of local climate on the correlation between weather and seed production in sessile oak (Quercus petraea) and European beech (Fagus sylvatica), co-authored by Jakub Szymkowiak, has been published in Agricultural and Forest Meteorology! Weather is believed to play a key role in triggering mast seeding in plants. However, while the relationships between weather and seed production are well-recognized for some species, there is also a range of species for which there seems to be no consistent links between meteorological conditions and seeding. Our results suggest that this puzzle can be explained by the variation in life history traits among species i.e., whether a particular species is a “flowering masting species” (= with seed production determined by variable flower production) or “fruit-maturation masting species” (= with seed production determined by variable ripening of more constant flower production). In particular, our results suggest that in case of “flowering masting species” (in our study: European beech), the meteorological cuing is spatially-consistent. In contrast, in “fruit-maturation masting species” (in our study: sessile oak) the effects of weather cues on seed production are mediated by the local climate, which leads to spatial variation in meteorological conditioning of seed production. Ministry of Science scholarships for Agnieszka, Alicja, Kamila and Ania!